The website Marine Lawyers of China was established in Guangzhou in 2004. Since it’s establishment we have been devoting to provide high-level legal affairs service on admiralty, marine, international transactions, insurance and so on. Basing on the steady development during the passing years, our lawyers team has obtained well-recognised achievement in the industry. This website is rooted on the famous law firm named Guangdong Geenen Law Office with a history of nearly 20 years. At the same time, this website and its team are expanding the civil and commercial law field of corparation, finance, real property and construction project. Our team members are graduated from the well-known law schools at home and abroard, earning degrees of legal master or senior. They both have profound theory foundation and aquire substantial practice experience. The partners and lawyers of this website can work with fluent english, and we established close cooperation with law firm from Britain, America, Germany, France, Greece, Japan, South Korea, Malaysia, Signpore, Hong Kong, etc. Our customers will enjoy multinational, first-class and specialized legal service from this website and its team. Lawyers of our website always keep good partnership with all-level courts and administrative departments, which help us master the updated legal information from various industries timely and provide high-quality and highly effective legal service for our customers. Till now, our team has served the following renowed customers such as: Peoples Insurance Company of China (PICC), China Pacific Property Insurance Co.,Ltd., Ping An property&casualty insurance company of China.Ltd, China Development Bank Co.,Ltd, Nippon Yusen bulk cargo transport (China) Co., Ltd., Jiangsu Huahai Shipping Group, Guangzhou Shipping Co., Ltd, Complant international transportation Shenzhen Co., Ltd, Centrans ocean shipping logistics company, Guangdong Branch, Guangzhou COSCO Logistics Co., Ltd, COSCO Guangzhou International Freight Co., Ltd, Jotun COSCO marine coatings (Guangzhou) Co., Ltd. Guangdong Galanz (Group) Co. Ltd. Nanjing textile import and export Co. Ltd. Global Market Group (Asia) Limited and so on. Marine Lawyers of China love their law career, and we are in obedience to the concept of “being meticulous, conscientious, professional, effective”. We are and will be trying our best to supply high-level service of litigation, non-litigation, arbitration all the time for customers from home and abroard. *Due-diligence investigation on investment on realty projects. *The governmental selling lands or commercial assignment of the land-use right. *Legal affairs of items of exploitation of real estate. *Mortage, loan, financing, guarantee of real estate. *Sale & Purchase, lease of new or second-hand real property. *Supevision, contract and construction of architecture project. * The mergence, restruction, acquisition of assets and debt. * Loan and relevant insurance of banks and banking syndicates. *Project finance and transaction financing. * Legal practiciablity study on creative finance business. Lawyer Xie graduated from Dalian Maritime University (Maritime Law) and got his master degree in 2002. His tutor is Professor Fu Yanzhong who is the associate dean and PH.D. candidate tutor of the law school of Tsinghua University. Lawyer Xie got his Lawyer's Qualification of China in 1998 and started his lawyer career, and joined two famous law firm succesively. Lawyer Xie has strong passion in acdemic research and is skilled at literary presentation. He is a rare scholarly lawyer whose many professional papers and English translations concerning maritime, admiralty and international trade were published successively in Chinese core legal publications(see China Maritime Law Review(vol.3,5&9), Annual of China Maritime Trial(vol.2002&2004), China Shipping Law Letter(vol.2002) and China Foreign-related Commercial and Maritime Trial(2003)).In 2001, his academic thesis was awarded Annual Excellent Paper of CMLA and his English paper was presented & selected at the 5TH International Conference of CLMA in 2002. Lawyer Xie is arted at communicating with customers. He can build genuine trust relationship with his customers nonlocally or abroad merely by teleprone and email. No matter the amount of the case is big or small, Lawyer Xie always handle them seriously and responsibly. His specialized, rigor and effective working style wins his customers’ appraise and trust, and this is why Mr. Xie excels in solving various complicated and difficult cases and win the cases which is in the second instance or review process. Lawyer Xie has dealed with hundreds of cases involving maritime, admiralty, international trade and insurance, etc, representing owners of cargo, the insurances, ship builders or repairers for many times. From these practices Mr. Xie aquired substantial experience about arresting ship and obtaining warranty. His cases mainly relates to ship crash accident, goods carriage contract, maritime insurance, cargo damage, maritime salvation, oil contamination, ship lease, ship sale& purchase transactions, ship building & repairing, maritime casualty, etc. In respect of international legal affairs. 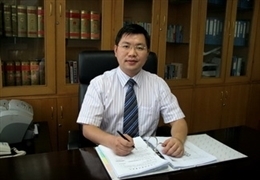 Lawyer Xie has a good knowledge of trade settlement mode such as L/C, D/P, D/A, OA, etc., basing on which Mr. Xie can handle disputes refering to Chinese import or export or entreport trade skillfully, especially has abundant practice experience about default of payment for goods and decline from taking the delivery of goods by buyers. Lawyer Xie has received Thanks letters from his customers for his brilliant service about international trade cases. Some typical cases represented by Mr. Xie Ming were elected and published by the supreme people's court’s bulletin. Moreover, Guangzhou Lawyer Association confered Business Achievement Award on Mr. Xie Ming for many times. 2. Mexico T Company defaulted Foshan D Furniture export company $350,000 for half a year. Upon being trusted, Mr. Xie took non-litigation measures immediately and drove T pay all the sum in 4 times in one and a half months. Mr. Tu served in the court as the judge, then entered international trade company dealing with international transaction and worked as law teacher in the university one after another. From 1996, Mr Tu got his lawyer license and practised law affairs. Mr Tu aquired abundant experience of more than ten years. He is skilled at maritime, admiralty, intrnational trade, foreign merchant investment, domestic economy, real property, finance and legal counsel, etc. Lawyer Mr. Tu has served for various international and domestic enterprises and multinational corporations for legal affairs in China. He has sunstantial law thoery and practice experience. He is familiar with the management and operation of the enterprise. He is both good at litigation and company’s legal counsel service and bring the most benefit to his customers. · Assistant tutor during studying and researching in Manchester University and QMUL. · Consultant to Greek ASSET Credit Management S.A.
· Associate of the Institute of International Commercial Law of the Pace University School of Law.